Where do you like skating? What is your favorite thing to skate and why? Marble curbs, because there’s plenty to do. I like the “over the table” tricks, they feel smooth. What shoe are you skating in now? Osiris decay, the ollie area is not vegan (suede)… fail, considering a fine pair of etnies as next victims. I don’t know any other vegan skater in Paris. Which is sad. Most vegans here seems to be stupid hippy junkies. Which is sad too. Just drink your chocolate soy-milk, stretch good (a run + 5-10 minutes stretching before, 10 minutes right after, 5 minutes before going to bed) and go for this gap. With the New Year we welcome a recently new Vegan and long time skater to the halls of Vegetable Shredder! 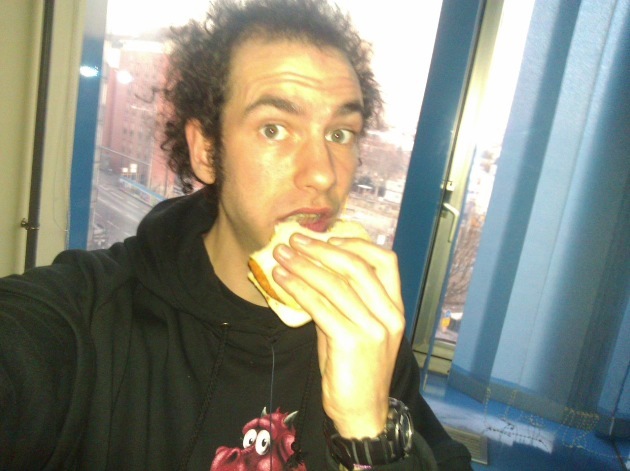 Yoann is also the first to bite, quite literally at my request for vegan sandwich eating. Dude is shredding that bread! Thanks Yoann! 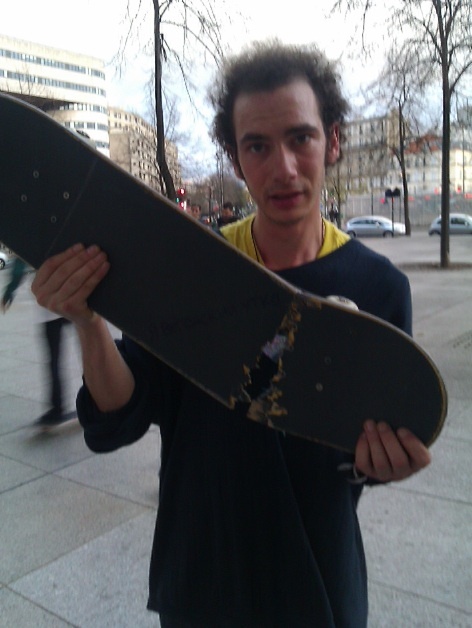 props to yoann, going against the grain in paris!